Primex Plastics Corporation, the leader in custom extruded plastic sheet and roll products for thermoforming, fabrication and printing, is pleased to announce the appointment of Gordon B. (Gord) McFaul to the position of Territory Business Manager for Québec, Canada. McFaul has over 25 years of sales and management experience in the manufacturing sector. I look forward to creating sustainable revenue and gross margin growth for Primex. Primex Plastics Corporation, the leader in custom extruded plastic sheet and roll products for thermoforming, fabrication and printing, is pleased to announce the appointment of Gordon B. (Gord) McFaul to the position of Territory Business Manager for Québec, Canada. McFaul has over 25 years of sales and management experience in the manufacturing sector. Most recently he was a sales manager for PolyOne in Montréal. 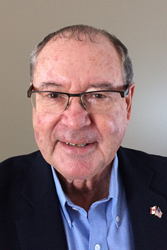 His industry experience includes plastics, sheet metal, water treatment systems and rubber. He will report to Central Regional Manager Robert Stephens and be based in the Montréal area. McFaul can be reached at 450-371-0109. Primex Plastics is the largest extruder of custom polystyrene sheet in the industry, ranging from monolayer sheet to tri-layer co-extrusion. Primex also extrudes many polyethylene resins, polypropylene, ABS, TPOs, TPEs and PETG. Primex’s latest product is Prime Bubble-X™, a unique air-bubble co-extruded polypropylene board. Primex is a subsidiary of ICC Industries Inc. In addition to its extrusion business, Primex is the parent company of Primex Design & Fabrication and Primex Color, Compounding & Additives. For more information visit http://www.primexplastics.com.